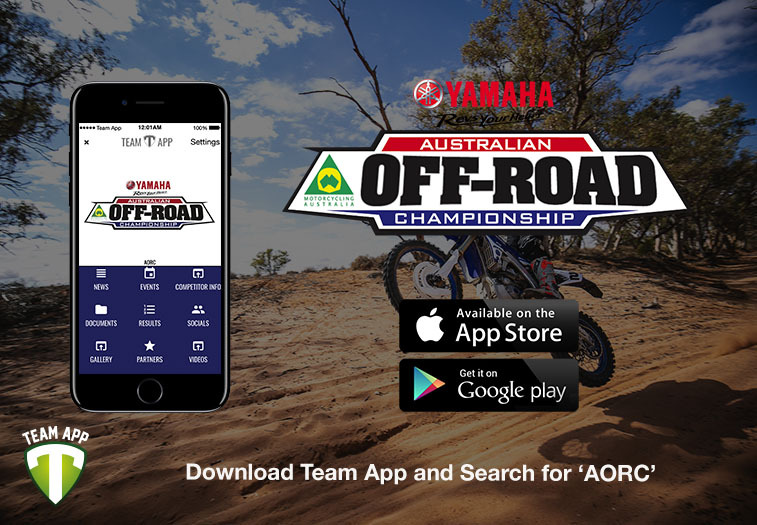 As the Yamaha Australian Off-Road Championship (AORC) lands in Dungog, New South Wales (NSW) for Rounds 3 & 4, be sure you word up on everything you need to know before the back-to-back Enduro racing kicks off tomorrow, April 6. As the Dungog record breaking lists of competitors begin to arrive, temperatures and conditions are expected to be perfect. With lush grassy tracks and recent rainfall, accompanied by a forecasted sunny weekend, the world-class list of competitors including the likes of Josh Green (Active8 Yamaha Yamalube), Daniel Milner (KTM Enduro Racing Team) and Daniel “Chucky” Sanders (Husqvarna Enduro Racing Team) will be given the perfect blank canvas on which to create their masterpiece. 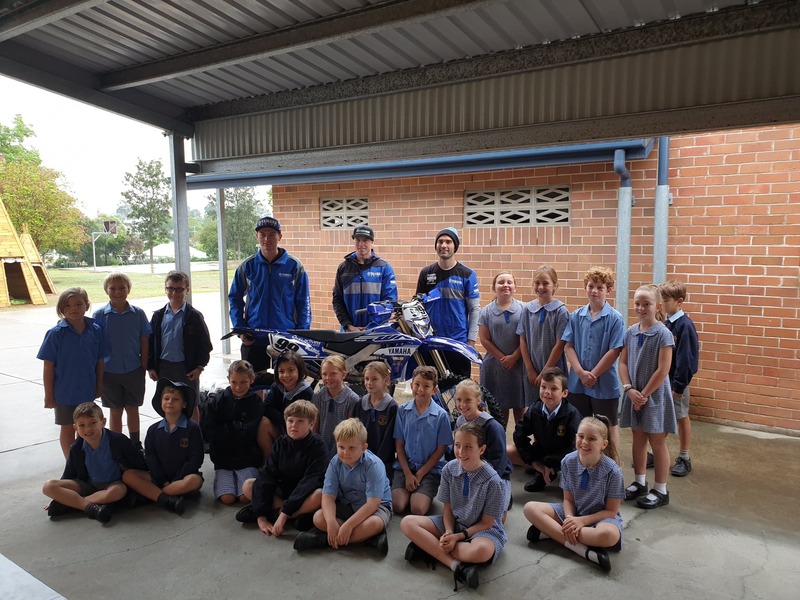 Accompanied by Active8 Yamaha Yamalube’s Josh Green, Michael Driscoll and Luke Styke, AORC headed to St. Joseph’s Primary School to speak to its near 100 students on rider safety, appropriate gear and how to get started in motorcycle racing. 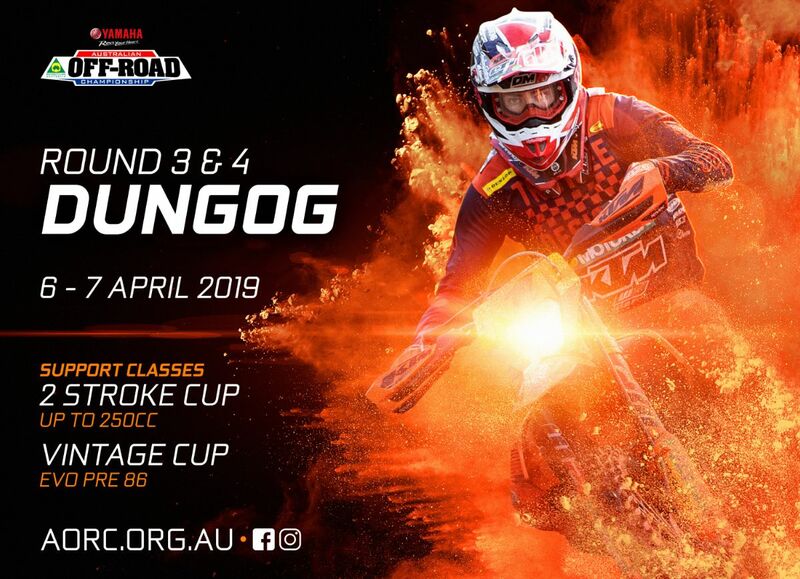 With an upcoming rider in their midst taking part in the weekend racing, alongside Dungog local Driscoll, Rounds 3 & 4 is set to put Dungog on the map and the leader board! Located in the Hunter Region, Dungog is the quintessential Australian town renowned for its forests, mountains and rivers. Bordered by the Barrington Tops plateau, the region is characterised by rugged hilly country and two principal rivers, the Williams in the East and the Paterson in the West. The economy of this town and the Dungog Shire Council has traditionally been based on agriculture and timber, with the river flats suitable for intensive agricultural production. Upon landing in the Dungog Region, there is a mountain of opportunities for activity. Visitors can explore the rainforests of Barrington Tops National Park, which are of international significance and form part of the Gondwana Rainforests of Australia World Heritage Area. Other areas of note include the Dungog Museum and the Clarence Town Historical Museum, which each focus on their respective town’s rich history with a desire for preserving and supporting the local heritage. Head to Visit Dungog for more information. A Dungog record breaking entry list of over 240 riders will descend on Chichester Dam Rd this weekend. You can access the full Entry List here. For greater insight into this weekend’s results, you can also download the Race Monitor app via the App Store or Google Play. *With the event being held in quite a remote location, Social Media and Live Timing may struggle at times but we will be doing everything we can to make sure you can still follow the action.